Leaders Need To Sharpen Their Skillz Too! 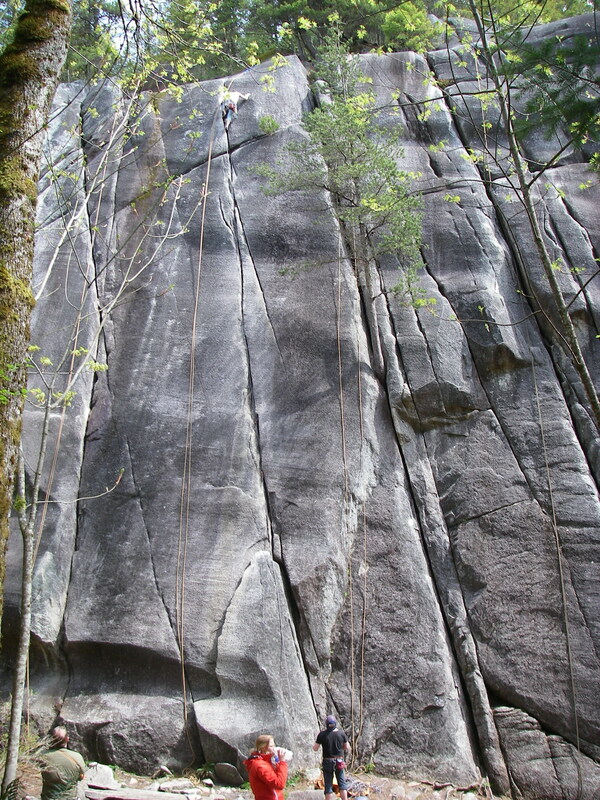 I attended the Alpine Club of Canada, Vancouver Section’s “top rope” rock climbing “anchor building” course (including advanced instruction on belaying & rappelling techniques), Saturday and Sunday, April 28 & 29, 2012, at Smoke Bluffs Climbing Park in Squamish, B.C. 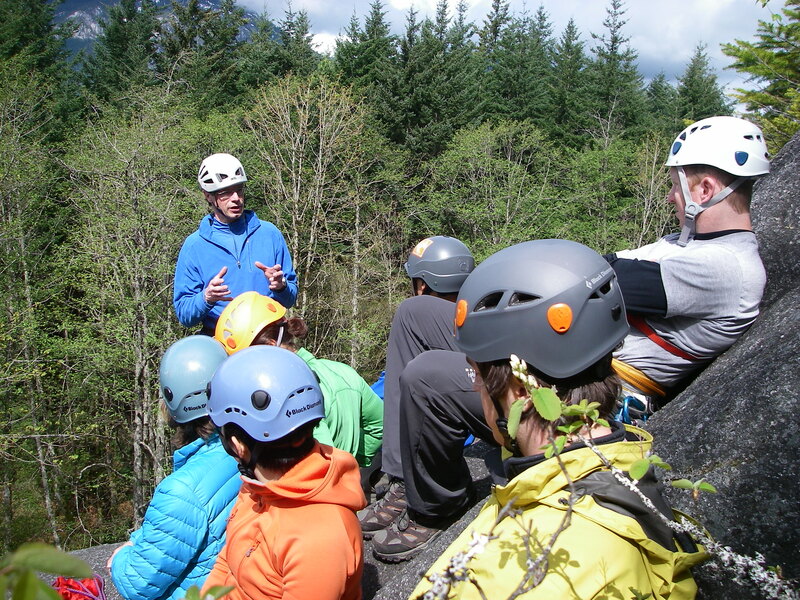 Now that the snow is gone…expect to see our Scouts stylin’ climbing helmets soon! 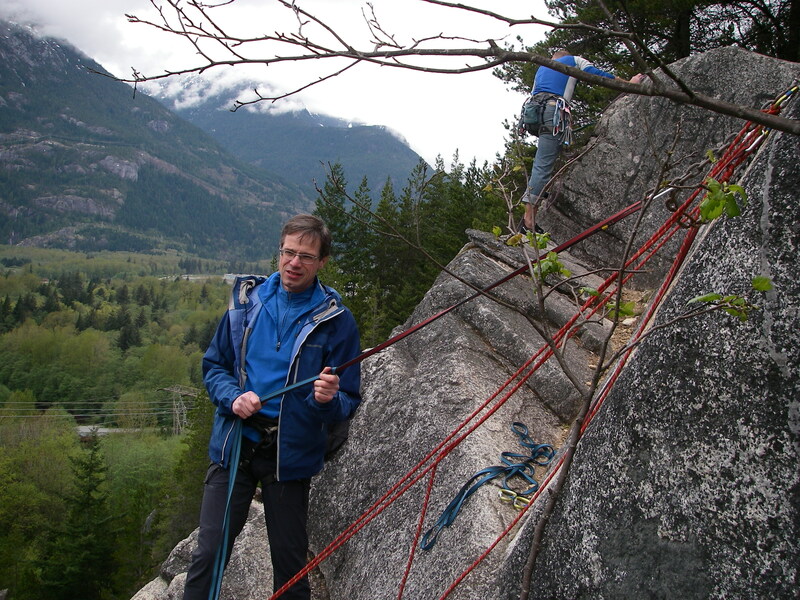 Day 1: Alpine Club of Canada, Vancouver Section, instructor Martin Siegert teaching the finer points of “top rope” anchor building (here showing how to extend the focal point of the anchor over the edge of the rock face to reduce wear on the rope) at “Neat and Cool”, Smoke Bluffs. 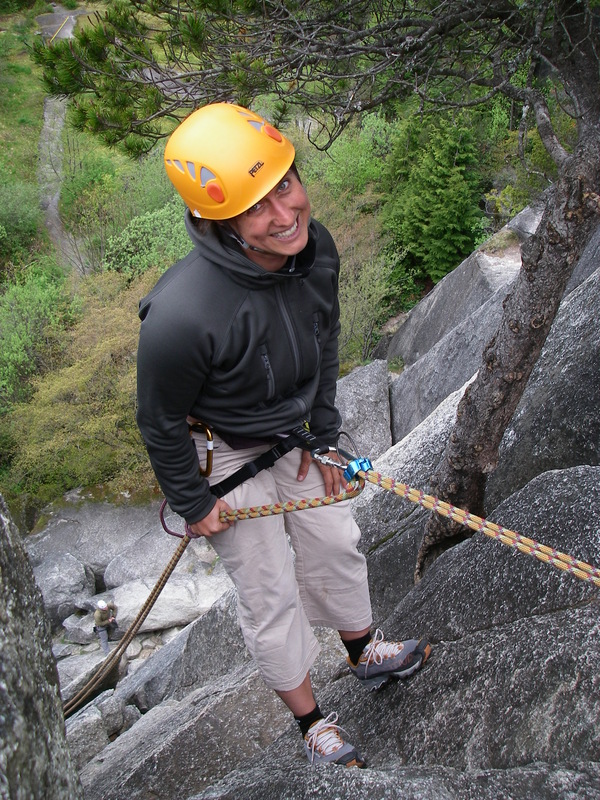 ACC Instructor Suzanne inspects the anchor our team built at the top of “Corn Flakes” (one of the many climbing routes available at “Neat and Cool”) before allowing us to rappel down. No fear. Trista shows her confidence in the anchor that we built at the top of “Corn Flakes”. My turn next…. Trista “rapping” down the wall at “Neat and Cool” while Robert and ACC Instructor Ian look on. 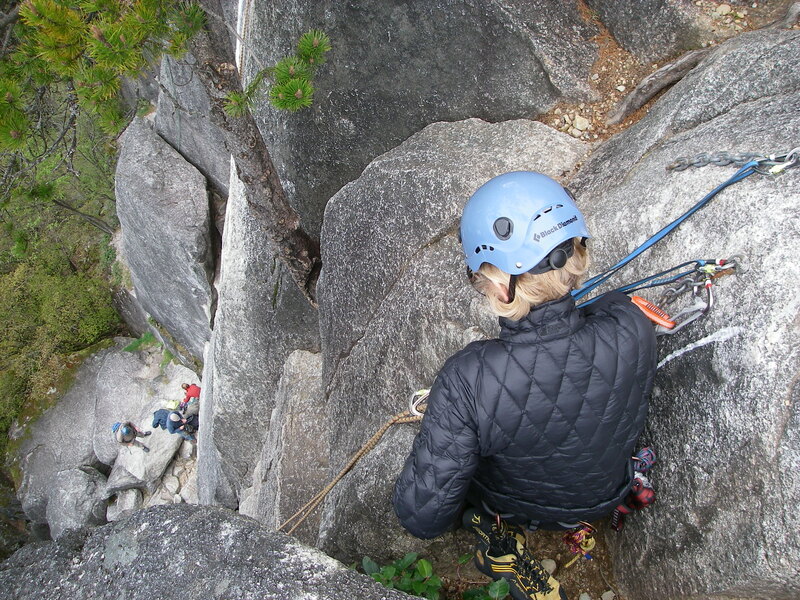 Day 2: We switch crags and go to “Octopus’ Garden” at Smoke Bluffs for a more challenging top rope anchor building environment. The trickiest anchor built this weekend! Robert is now ready to “rapp” down the face after helping to build this anchor. 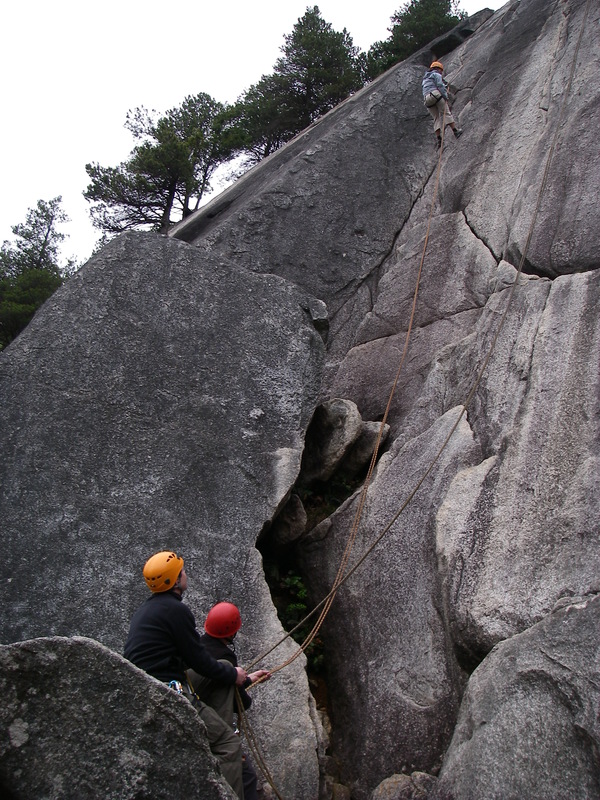 To build it, he had rappel down to the bolts, clip in his personal safety line, unhook from the rope and hang by his safety until the anchor was established. 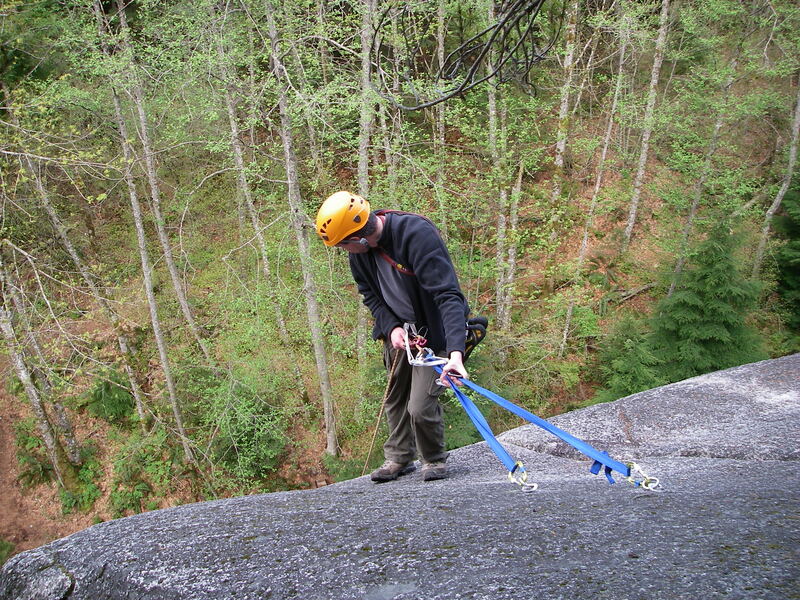 Only after the anchor was set and the Instructor and other student had “rapped” down, was Robert able to reconnect his rappelling device and head down. All this took so long that Robert’s feet fell asleep while standing out there on the ledge. Ouch! Instructor Martin goes into incredible detail regarding the capabilities, selection and care of climbing gear (climbing ropes, slings, cord, biners, etc.) to a very attentive audience. The day was perfect! The sun even came out for us. 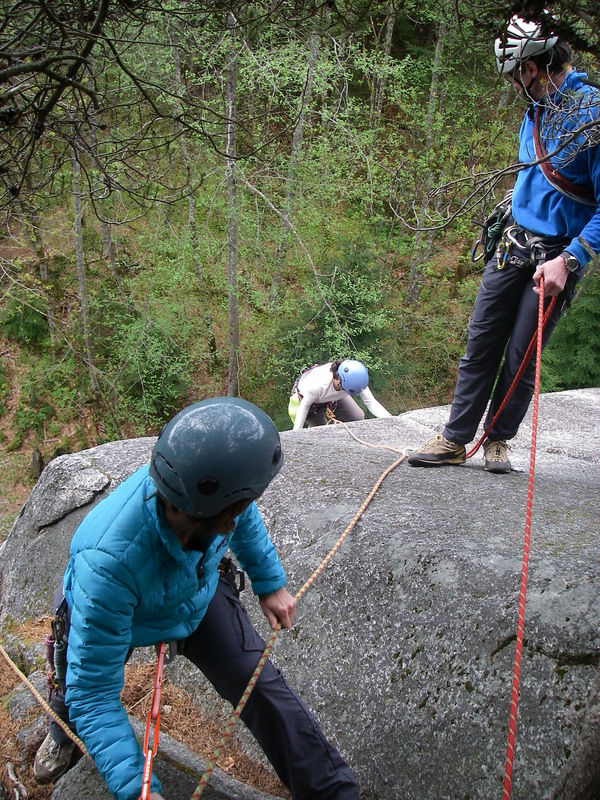 Top belayer, Karen, watches as climber, Catherine, completes her climb under the watchful eye of Instructor Martin. Thanks for a truly excellent weekend Martin!